Could this title be any cornier? Anywayssss, as you can tell by the title, today involved craisins. And raisins. I wanted to bake some raisin bran muffins and this morning was the perfect day to do so. Usually I like to wake up early to get in a workout, but today I switched it up. I slept in and baked all morning. Booyaa. warning: if you make this recipe in the morning, it’s incredibly tempting to eat this as normal cereal instead of using it to make the muffins. good luck. Beat oil, egg, sugar and vanilla together. 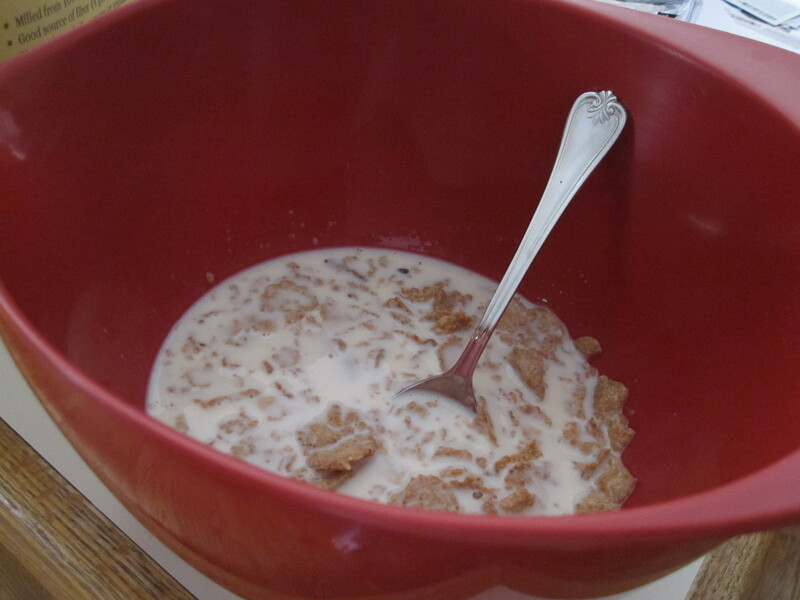 Add the oil/egg/sugar/vanilla to the soy milk/cereal. 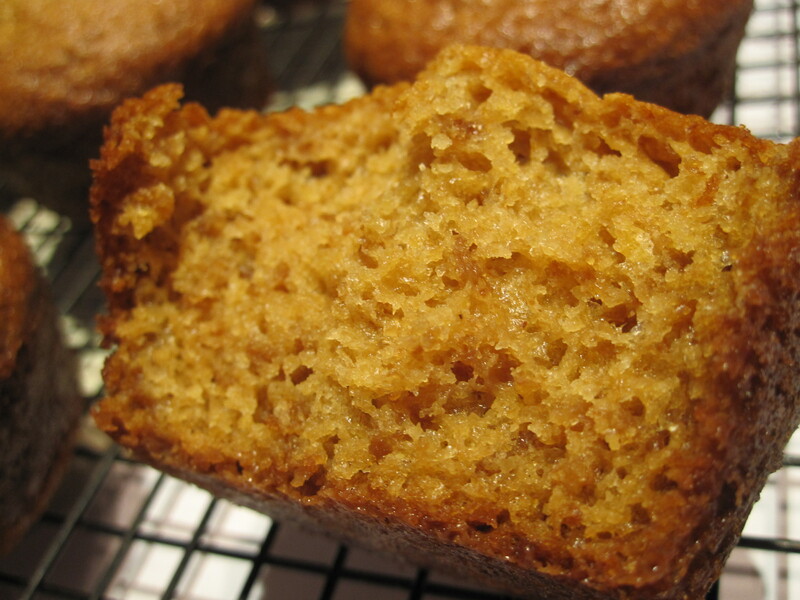 Mix together whole wheat flour, baking soda, baking powder, and salt. Add dry ingredients into the wet ingredients. Add craisins (yum!) 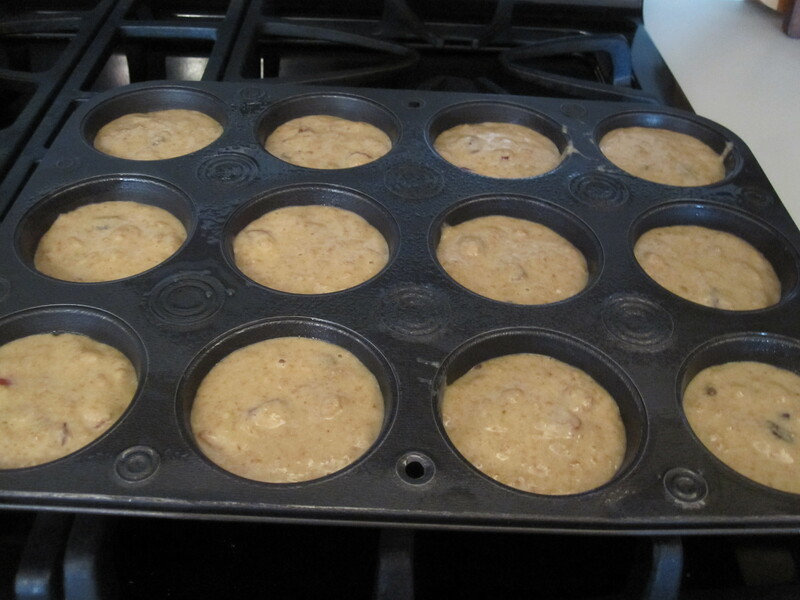 and pour batter into muffin tins. Bake 15-20 minutes (my oven took 15) or until toothpick comes out clean. Enjoy! And try to not eat the entire pan. 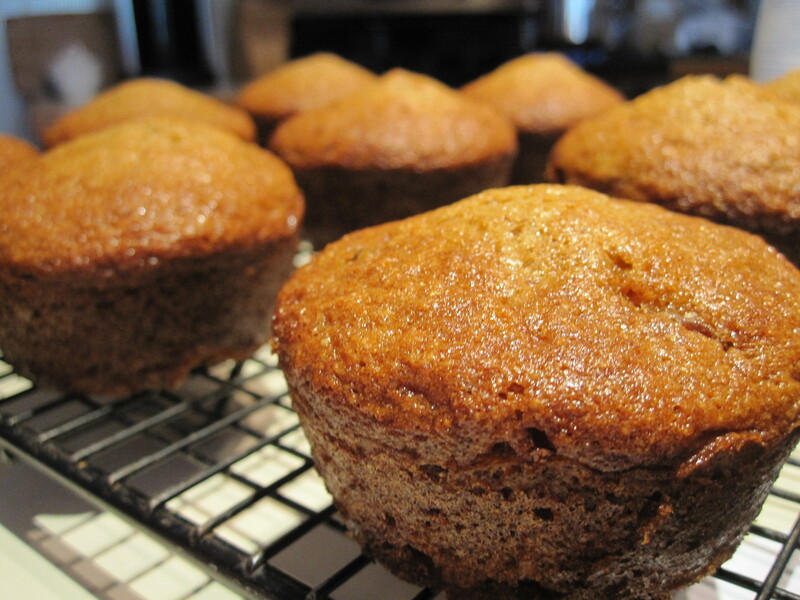 These muffins were so incredibly moist and delicious. Honestly, they are the best-textured muffins I’ve ever had. And, not completely unhealthy. Wanna know some facts? 186 calories. 7 grams fat. 1 gram sat fat. 2.5 grams fiber. I think I’ll be making these pretty often…and before races! Well I’m off to go camera hunting with Joe! So many awesome cameras, so little money time. What’s your favorite type of muffin? The muffins look delicious. I love blueberry and cinnamon spice muffins. Good luck camera shopping. yum, those are great too! Looks yummy! I’m not too big into muffins for the reasons you stated above (rather be eating froyo hehe), but those look pretty awesome. I wish I had a fancy camera, but I take my point and shoot everywhere and it’s looking pretty rough. I think if I had a big fancy one I’d be scared to take it anywhere. Maybe one day! Good luck camera hunting! hahah i know, i’m already getting nervous! i bought a protection plan for it…but it’s still scary! 🙂 glad you liked them! Keep up the good work! You understand, lots of individuals are hunting round for this info, you could aid them greatly. Wonderful, what a web site it is! This webpage provides useful data to us, keep it up.